"If you have a house, you must lock the door and secure the house otherwise you will get robbed. Once it's secure, you can start decorating"
While it might not seem so, the real work starts now for the Palestine national football team. There have been some great achievements that cannot be ignored but if Palestine really want international- or even continental- recognition they will have to make some waves at UAE 2019. The last time they graced the continental showpiece the side completely fluffed their lines. Organizational dysfunction in the background certainly did not help, but for the most part, the players that got them to the event were the ones that featured. It turned out to be a massive miscalculation on the part of Ahmad El-Hassan and the PFA. 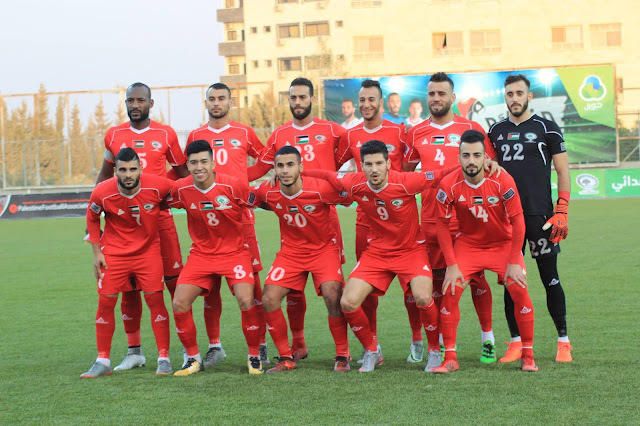 Palestine's midfield featured four players over 30: Khader Yousef, Murad Ismail, Husam Abu Saleh, and Ismail Amour. All were quite obviously past their best. Simply put, there was not enough testing and tinkering in the months leading up to the tournament. When the moment of reckoning of came, Palestine were left badly exposed. Abdel Nasser Barakat was wise to heed the advice of Claudio Ranieri. Following the Asian Cup, Palestine had to get back to basics. Simply put, Palestine could no longer be a guaranteed three points for the larger teams in Asia. In his first year, the former Al-Bireh winger succeeded in doing just that- taking points and keeping clean sheets against UAE and Saudi Arabia. What could be salvaged from the Asian Cup squad was salvaged and repurposed. Three out of the four players that started the 2014 Challenge Cup final- Jaber, Dheeb, and Bahdari- remained integral to the side's success. Alexis Norambuena was brought back to play a vital role at right back. Toufic Ali parlayed a solid performance in the final game of Australia 2015 into a strong claim for the number one shirt. In his 19 games in charge, Barakat has tweaked things in the back, gradually improving the side along the way. He phased out Khader Yousef and brought in the imperious Mohammed Darwish. His sides used to rely heavily on Pablo Tamburrini, but after a dip in form, he pivoted giving chances to Shadi Shaban and Mohammed Yameen in the middle of the park. Knowing full well that Alexis could not play forever he gave Mus'ab Battat a chance and stuck with him through some shaky performances. In goal, Barakat has been vindicated by choosing to start Rami Hamadi over Toufic Ali. The results speak for themselves. Hamadi has yet to be beaten from open play and Palestine have kept five clean sheets in six games this year. 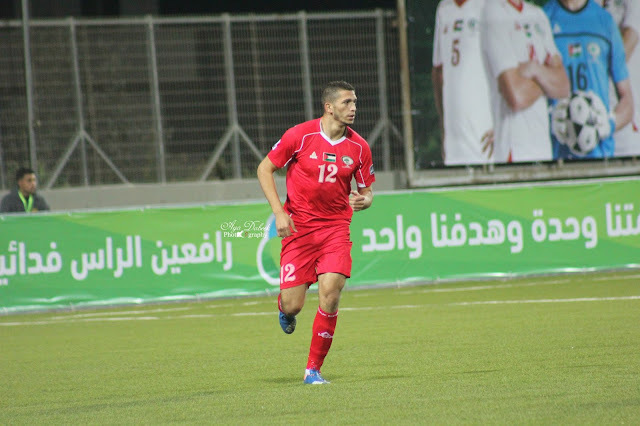 Barakat also did not hesitate in rewarding Ghanem Mahajneh by starting him in Palestine's last game. Despite being part of the senior team for the better part of four years- it was Mahajneh's first start. It was a just reward for a positive, team player whose form had been better than former #1 Toufic Ali over the last 12 months. The base for success is there but concerns remain over the preferred centreback pairing's ability to handle speedy attackers. It was an issue that cropped up over Asian Cup qualifying despite their ability to keep clean sheets- en route to the best defensive record in this phase of qualifying. Eyes will definitely shift to the Olympic team who have recruited several promising players. Alaa Habous, the victim of a wanton act of violence in Lebanon, is recovering from a serious leg injury but it his stead Palestine have Michel Termanini who is on the books of Superettan side AFC and Mohammed Al-Ahmar- who plays in the Danish third division. If there was one part of the national team that needed to be completely overhauled in the wake of the 2015 AFC Asian Cup it was the midfield. For long periods of time during that tournament, Palestine simply had no way of hurting teams in the final third because they relied on one or two players to score goals. Japan revealed the blueprint to beat Palestine in the first two games: Deny Ashraf Nu'man space and limit Abuhabib's time on the ball. With no outlet, the midfield would be overrun and the defence would inevitably collapse. With Ashraf Nu'man and Abdelhamid Abuhabib regressing, Abdel Nasser Barakat was forced to start from scratch. He brought back Tamer Seyam into the fold and handed Sameh Maraba his first cap with the senior team. Both players quickly adapted and were more than adept at dealing with the smaller teams in Asia but both players had their limits; against more prominent opposition Barakat brought Imad Zatara back and made use of the more disciplined Jaka Ihbeisheh. 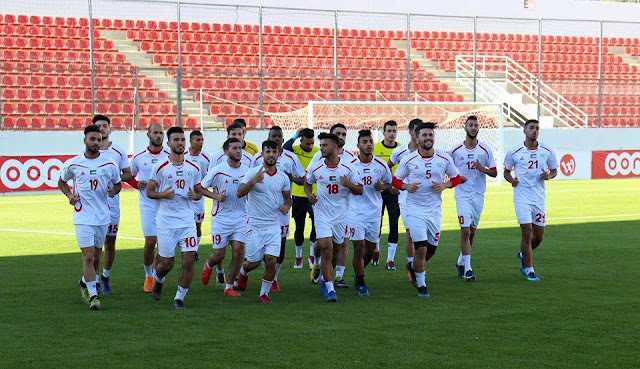 Of the 22 players who debuted under Barakat, eleven were either attacking midfielders (Awad, Jonathan, Sameh Maraba, Batran, Natour) or forwards (Wadi, Balah, Abu Nahyeh, Jadue, Salom, Pinto Islame). Of that group, only two have emerged as surefire starters. In midfield, Jonathan Cantillana is a favorite of Barakat's for his ability to exploit gaps in between the defence. He has started eight of the last nine qualifying matches and it's evident that his work rate and creativity play a big hand in the goals Palestine is able to create. 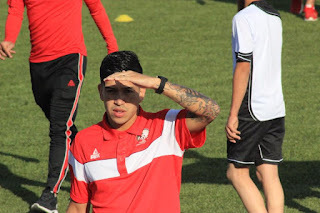 The former Palestino midfielder has already racked up 8 goals in a mere 14 games and has a knack for banging in dramatic goals- like the opener against Oman in June. His ability to dovetail with Abdallah Jaber on the left flank means that- barring an unforeseen developments- he is assured of his place in Barakat's starting lineup. Who starts on the opposite flank is still a bit of a mystery. Tamer Seyam is not quite as consistent as he needs to be at this level but is very much the incumbent having started every game over the past 12 months. While playing an important role in the team, it remains to be seen whether or not he would be as effective against high profile opponents. Jaka Ihbeisheh could be the player to push Seyam out of the starting XI. Ihbeisheh is not as flashy as Seyam but against the bigger teams in Asia his presence is absolutely vital. He has proved that against Saudi Arabia and UAE and will be strongly considered for games during the 2019 finals- either has a right back or in his more natural position. From his limited time in a Palestine shirt, it seems that Barakat favors Awad in a deeper position. In all three games he featured in his signature run has been on display. With Dalkurd, Awad is in a more advanced position, as a supporting forward picking the gaps between the lines. With Palestine, Barkat utilizes him in midfield, as an inverted winger and his runs create space for the fowards and the fullback- his first touch is simply incredible and his quick feet. How Awad fits into the midfield will generate plenty of intrigue in the lead up to the Asian Cup. That said, it's very likely that Hosam Aiesh might become the natural choice to complement Jonathan on the opposite side. 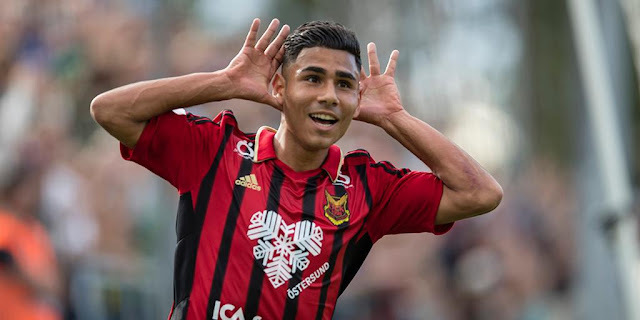 The Östersunds winger is so multidimensional that he can be deployed anywhere down the right flank. He is a fantastic dribbler of the ball and his defensive output leads to turnovers all over the pitch. In short, Barakat could not have crafted a more ideal winger for his system. Which bring us to the questions of who will be charged with bagging in the goals. Abdel Nasser Barakat has gone through a couple of strikers. He started with Mahmoud Eid over the first two games, then turned to Matías Jadue, and before 2015 was over Ahmad Abu Nahyeh was his preferred number nine. He has since given way to Yashir Pinto who has provided game winning goals in 2017 against Yemen, Oman, and Bhutan. After Yashir Pinto's Achilles injury, Mahmoud Yousef stepped into the fold and promptly scored a brace on his debut vs. Maldives. 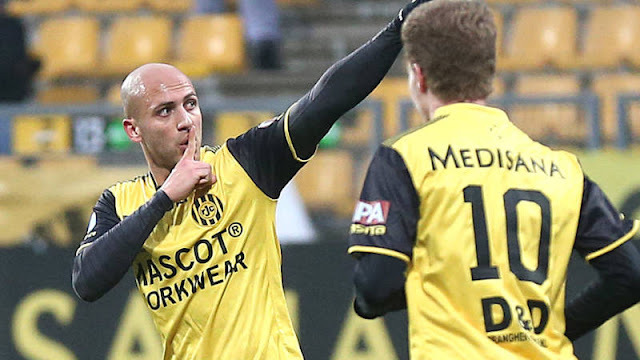 That said, the name on everyone's lips now is Mahmoud Wadi. There was always a question as to whether his freakish strength and speed would be a force abroad. That question has now been put to rest with eight goals in eight league games thus far for Ahli Amman. He did not score after replacing the injured Yousef against Maldives but boy did he showcase what he could bring in 55 sesational minutes. Speed, physicality, bicycle kick efforts. He hit the post and was denied by the keeper on two other occasions. What's more impressive is that he made his debut without training with the team. The other Gazan striker on Ahli Amman's books- Mohammed Balah- came on for a brief cameo at the end of the Maldives game and showed flashes of what he could do. 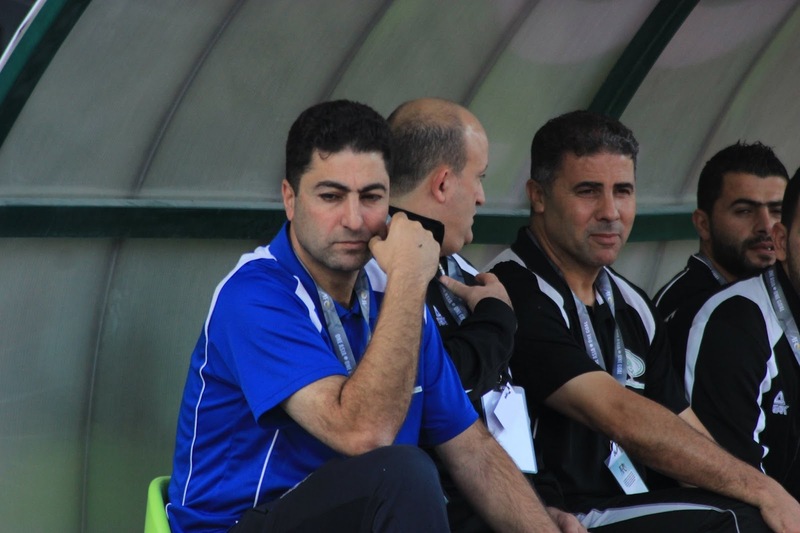 SC Krein's Saleh Chihadeh was called up but didn't get the opportunity to play. He will need to keep banging in goals as he leads a promotion charge to the Swiss Challenge League. Make no mistake, this is the most competitive position in the national team. It features six players who play abroad (Eid, Jadue, Pinto, Chihadeh, Balah, and Wadi) and the starlet of the WBPL and Olympic Team. It is inconceivable that more than five will make that trip to the UAE in 13 months time- and even that is an optimistic estimate. Options are good to have but Barakat will need to get to know these players inside and out in order to formulate a strategy as to how to best use them for a deep run in the tournament. To do that, the team will need to play better opponents in 2018 and Barakat has to give all these new faces time to acclimate. Electing to play the Olympic team at the upcoming WAFF Championship is a good start as it will give the team experience ahead of the U23 Championship in January. Simply put, friendlies need to become testing grounds and not quasi-competitive encounters. The FA screwed the pooch in 2014 after qualifying for the Asian Cup, they can ill afford to make the same mistake- not with all this talent at their disposal.